Office to Print Shop. Solutions for Lower Volume Environments. Light production devices serve lower volume print needs, often offering expanded versatility with options for advanced finishing and a choice for digital front ends. These solutions provide impressive speeds, reliability, and smaller footprints for those that don’t need the capacity of a production press. Communicators want to leverage data with personalized messaging. Targeted, high-quality direct mail and promotional pieces are on the rise because marketers and brand owners are leaning into print’s benefits to get the most out of the channel. “Today’s successful printers are focused on engaging customers with the look and feel of communications, with smaller, targeted print runs printed at high quality on interesting stocks such as synthetics and linens,” says John Fulena, VP, commercial and industrial printing group, Ricoh USA, Inc.
A variety of manufacturers provide color offerings from the high end of the office through the light production and into entry-level production color. “This is an attractive area in the industry,” says Kara Bosco, business manager, entry production color and light production monochrome, Xerox, noting that the latest products respond to trends such as continued cost competitiveness pressure, support for more and varied substrates, configuration flexibility, security functions, a focus on workflow and solutions, and support for applications. For this article, we focus on light production solutions, which generally offer monthly duty cycles of approximately 100,000 to 300,000 impressions. The light production market is affected by the need for enhanced print capabilities, including colors beyond CMYK—like white. This presents print providers with the opportunity to create new applications, according to Bill Hall, product marketing manager, and Lisa Salerno, product marketing manager, Konica Minolta Business Solutions U.S.A., Inc.
Additionally, technological advancements bring high-end imaging technology downstream and present more versatility with expanded media options and inline finishing capabilities. “There’s a broad adoption across markets because more engaging, more efficiently produced collateral is a priority for anyone who wants to get a message read. Specifically, we’ve seen growth in the promotional, publishing, direct mail, and packaging spaces, because those markets focus on collateral that must stand out based on look and feel,” says Fulena. “We live in a visually competitive landscape. 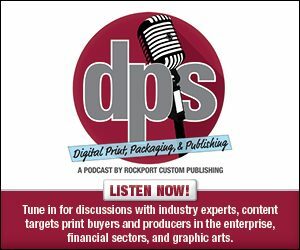 Everything from digital displays, vibrant packaging, and unique media drives the need to offer creative ways to stand out and get noticed,” adds Jim Fuchs, technical marketing manager, industrial printing group, OKI Data Americas. Hall and Salerno suggest commercial, franchise, in plant, transactional, and quick printers seek light production products that provide a variety of media options and consistent quality output. “The ability to run a wider range of stock weights as well as substrates opens up new applications for PSPs and their customers,” they add. Several products are available to support the needs of light production environments. Depending on an organization’s specific demands, a variety of options exist. Included among Canon’s products in its cutsheet production printing solutions portfolio is the Canon imagePRESS C800 Color Digital Press Series, which is comprised of the imagePRESS C700 and imagePRESS C800 color digital presses that deliver advanced levels of print quality, efficiency, and versatility in both commercial and in-house print environments. These cutsheet production printing devices print a range of media including heavyweight, coated stocks and envelopes, at a high-level of consistent quality and productivity—up to 70 impressions per minute (ipm) for the Canon imagePRESS C700 digital color press and up to 80 ipm for the Canon imagePRESS C800. These color digital presses flexibly handle the diverse print applications from short runs to complex variable data printing, transaction printing and automated, hands-off print production. Konica Minolta offers its AccurioPress C2060 MFP, AccurioPress C2060LPrinter, and the AccurioPress C2070 for the light production segment. The AccurioPress features the company’s SEAD V Screen-Enhancing Active Digital Processing System, which is an image quality management system that continuously maintains image stability without user intervention. “These devices also offer banner sheet printing up to 29.5 inches from a 1,000 sheet banner tray, and users can print envelopes at rated engine speed,” say Hall and Salerno. Advanced finishing and a variety of available controllers are other attractive features for this segment. In terms of software support, Konica Minolta partners with customers to assess new ways to improve production costs by streamlining processes. It offers a range of solutions including variable data printing (VDP), web to print, and color management. “An open API provides a seamless interface between the printing services and third-party solutions for accounting, authentication, or scan routing such as YSoft Safe Q and Nuance eCopy Sharescan,” comment Hall and Salerno. OKI Data offers its C900 series in this segment, which Fuchs says is seeing success within commercial and fulfillment print facilities, quick print shops, and local and in-house print shops. He adds that creative agencies appreciate the OKI c942’s ability to print on a range of substrates and produce vibrant colors on dark stocks. The OKI Data C942 and DP+ Envelope Print Systems help to produce unique output utilizing white toner, color printed directly on dark stocks, and VDP. “These align nicely with shops seeking to offer services and products with the goal of enhancing profits,” says Fuchs. OKI’s proColor production systems offer expansion capabilities at reasonable price points, he adds. “By combining OKI’s light production offerings with the Fiery C9 Server, print providers build upon a range of modular offerings from EFI to achieve workflow automation, centralized print job management, and even integration with the EFI Digital StoreFront Web-to-Print integration and eCommerce tools. Ricoh’s Fulena says its range of monthly duty cycles tend to start quite a bit higher than most on the market. The Ricoh Pro C5200s series comes close to the upper end of light production featuring speeds of up to 65 ppm and advanced finishing. The Ricoh Pro C7100 series can be used in light production, despite its considerably high duty cycle, according to Fulena. He adds that the Ricoh Pro 5200 series’ capabilities are well suited for light production needs, and the Ricoh Pro 7100 series builds off that feature set and adds more value. They’re both affordable devices that can print variable data, eye-catching applications on a variety of substrates, including synthetics and linens—up to 360 gsm—without sacrificing image quality. Fulena says its substrate versatility that doesn’t sacrifice image quality or add a significant real estate footprint that is a differentiating feature for products targeting light production environments. “Both series—the Ricoh Pro C5200 and Ricoh Pro 7100—print beautifully to the kinds of specialty stocks that make people stop and read,” he offers. Additionally, the two series can print up to 13×27.5 inches, which handle applications like tri-fold brochures and landscape catalogs. The Ricoh Pro 7100 series’ five-color devices can use clear, white, and neon yellow toner in the fifth color station. These features add an entirely new dimension to ways you can engage audiences, says Fulena. RISO features its inkjet ComColor FW series, the fifth generation of ComColor inkjet products with RISO’s patented FORCEJET technology. The series includes three models, the FW5000, which prints in full color at 90 pages per minute (ppm); and the FW5231 and FW5230, which print in full color at 120 ppm. The FW5231 utilizes a standard feed tray and the FW5230 has additional paper trays for added versatility. The ComColor FW Series offers print speeds of up to 120 ppm, direct print to paper without heat; and handles a range of paper stock and sizes, card stock, envelopes, and VDP. Xerox offers the LPM D-Series of B&W solutions and EPC-Low series color products. According to Bosco, these product lines are considered light production because they sit in a critical business segment just above the high end of the office and into the low end of production. “It is a business area that resonates with numerous customers in key market segments,” she adds. The LPM D-Series—D95A, D110, D125, and D136—feature flexibility and reliability at production speeds. Bosco notes that these products handle high AMPV runs during times of peak demand. The EPC-Low C60/C70 offer color stability with rich solids. The devices are designed to “create value with more applications, including standard office stocks, linens, window clings, metallic, synthetics, NearTear, and magnets,” says Bosco. For supported software and ecosystems, Xerox’s NexGen Managed Print Services utilizes a proven, three-stage methodology that enable clients to be more productive, mobile, and secure while continuing to reduce costs and be more environmentally conscious. The first stage is to assess and optimize. In this phase, MPS experts utilize assessment tools and processes to create a baseline of a client’s current spend and design a solution that reduces costs up to 30 percent and supports client sustainability goals. “Often, as a result of the assessment work, a workgroup printer like a C60/C70 is utilized to replace many desktop devices. This helps our clients reduce their costs while simultaneously improving their work processes because of the improved functionality of the C60/C70 over the previously existing desktop device,” says Bosco. The D-Series on the other hand is not primarily placed in an office workgroup setting common for MPS, but would be considered where applicable, particularly at the lower end of the LPM product range with the D95A, explains Bosco. The D-Series and C60/C70 support and integrate with EFI ecosystems in customer environments via optional EFI Fierly Front Ends or Xerox FreeFlow Core for fully automated workflows. Depending on output needs, a printing device is certainty available to match the demand. Common features for the light production segment include advanced media compatibility and finishing features. Additionally, connectivity and expanded workflow functions are increasingly important. Click here to read part two of this exclusive online series, Entry Level Options.